Aloe vera shower gel Vanilla fragrance will moisturize deeply your skin and will give all its suppleness back. Aloe vera shower gel vanilla fragrance is made out of the Aloe Vera juice extraction from Saint François in Guadeloupe. Aloe Vera shower gel Vanilla fragrance is very moisturizing and perfumed with a subtle Vanilla pod essence in order to make you fill relaxed. 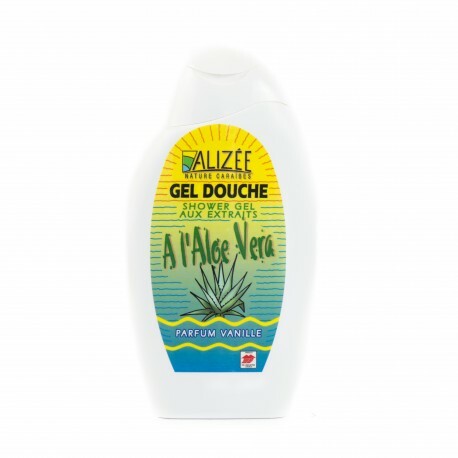 You can apply the Aloe Vera shower gel Vanilla fragrance on a daily basis.